The internet is a deeply-ingrained part of our lives. It informs the way in which we work, communicate and connect and shows no signs of slowing down. It’s become so much enmeshed in our social fabric that the thought of life without it is almost unimaginable. With more and more institutions moving their services into the digital space, questions about how to best optimise internet infrastructure is always at the forefront of discussion and debate. If the last few years have proved anything, it’s that the internet is far from faultless. It has flaws and weaknesses, some of which are becoming more apparent. The rise of cyberattacks and network failures have led to a growing feeling of mistrust within the community. This uncertainty is warranted as what has become glaringly obvious is that the internet’s original design lacks identity and authentication mechanisms. In the absence of these mechanisms, services have had to create custom identity systems such as passwords. These custom systems of storing our personal information are plentiful and far from perfect. With thousands of databases all storing fragments of our information, they are invariably vulnerable to fraud. The hacking epidemic is not new, but without decentralized systems of verification continue to affect millions of individuals and businesses around the globe. In this climate of distrust the question then becomes how do we make the internet accessible and safe for everyone. A solution that has gained traction is utilising emerging Blockchain technology to decentralise the internet. Blockchain presents the opportunity for a safer and more secure network while also allowing the internet the space to include new technologies like AI and machine learning. These inclusions would keep the internet free-flowing and solve the problem of internet congestion and make data and content incorruptible. Another problem with current internet infrastructure is the inequality in the speed and quality of broadband services. Currently delivering high-definition content is expensive and not accessible to the vast majority of the population. When linked to our increasing reliance on the internet, this inaccessibility seems incredibly unfair. Creating a global network through Blockchain technology may help to resolve the inequalities that currently exist. When it comes to governing the data that exists on the internet, the implementation of Blockchain technology makes the most sense. Widening the technical parameters of the internet is integral to increased confidence in user-data relationships. By using smart contracts the way data itself is stored on the web would dramatically improve. This concept of a universal internet across internet platforms is something Blockchain technology allows us to envision. Instead of having data stored to different centralized networks that are subject to hacks, Blockchain-based systems store a unique record of identity that can be recognized by any site. Eradicating the need for usernames and passwords that differ site to site. The incorruptible nature of Blockchain technology means that domains naturally become more secure. The current public-key infrastructure requires sites obtain a Certificate Authroity to verify themselves. However the certificate authority can issue devious certificates that imitate websites and businesses. Using Blockchain as a global distribution mechanism for public keys and digital certificates would render them completely secure. As cyberattacks continue to sweep across the globe, costing families and businesses hundreds of thousands of dollars in damages, there is a growing need to re-envision the future of the internet. Protection from cyber threats is integral in our digital landscape. 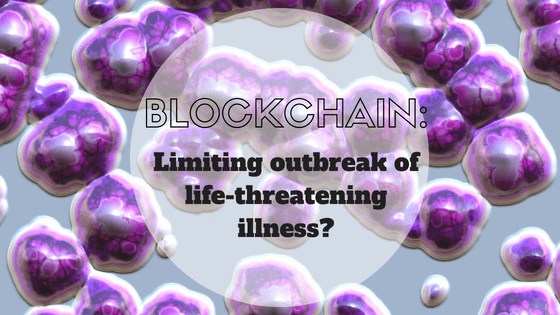 As Blockchain technology continues to emerge as a viable alternative to current internet frameworks, there still remains the question of how to protect yourself from current threats. Our recommendation: consult IT specialists like Tek Support that specialise in safeguarding your data against cyberattacks like Ransomware. If you’re curious about how Blockchain technology is disrupting the world as we know it, and want to equip yourself with the tools to understand it, contact Australia’s leading Blockchain experts. Blockchain Australia are leading the way in Blockchain education and implementation.